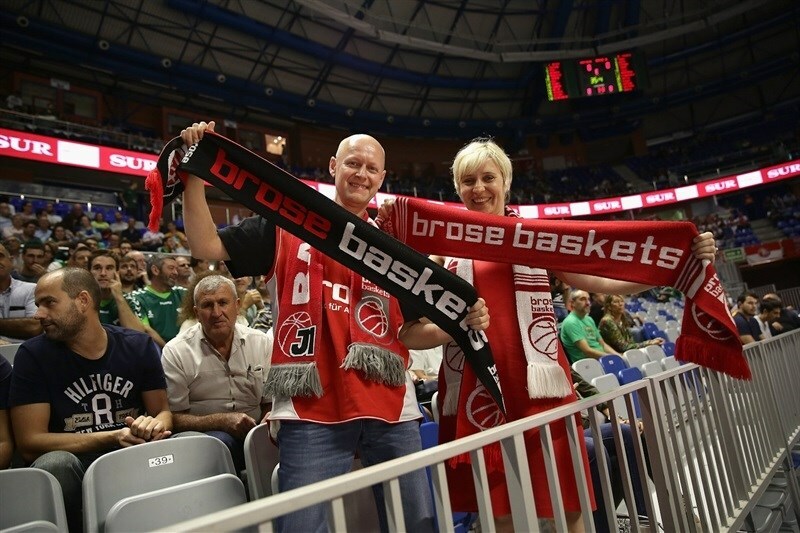 Unicaja Malaga got off to a strong start in regular season Group D by downing Brose Baskets Bamberg 76-71 at home on Thursday. 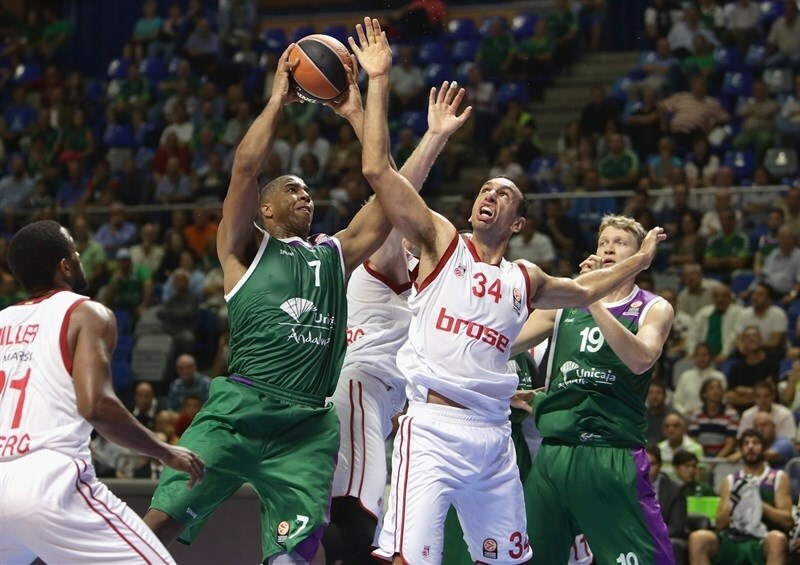 Unicaja registered its first-ever Euroleague regular season home win against Bamberg after losses in 2010 and 2011. 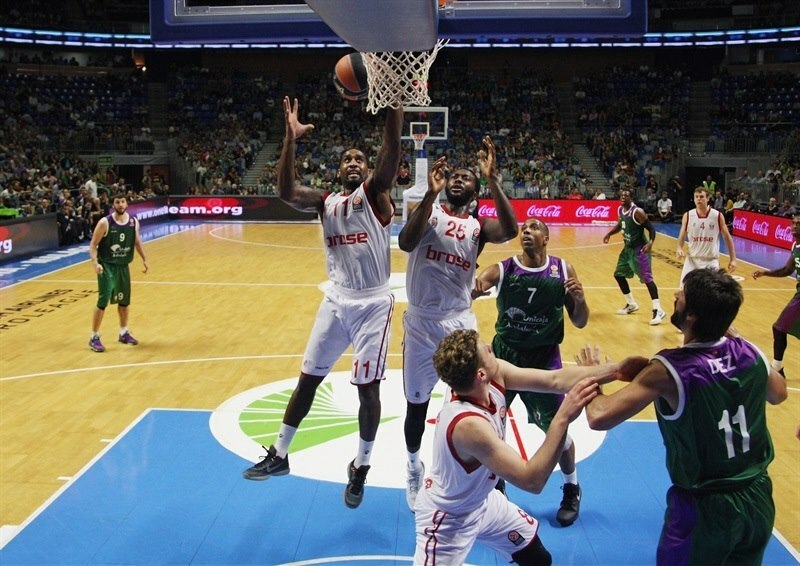 Mindaugas Kuzminskas led the winners with 18 points, Will Thomas added 11 while Richard Hendrix had 10 for Unicaja. 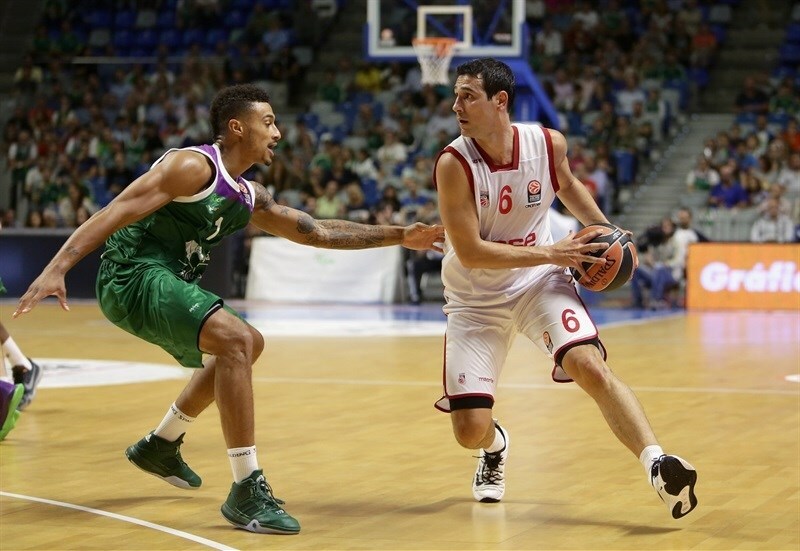 Nikos Zisis led Bamberg with 16 points, Janis Strelnieks added 13 and Nicolo Melli 10 for the guests. Kuzminskas shined early to give Unicaja a 15-10 lead. Gabe Olaseni and Melli helped Bamberg tie it at 18-18 after 10 minutes. A huge dunk by Darius Miller gave Bamberg its biggest lead, 27-31, but Kuzminskas and Hendrix helped Unicaja regain a 36-34 edge at the break. 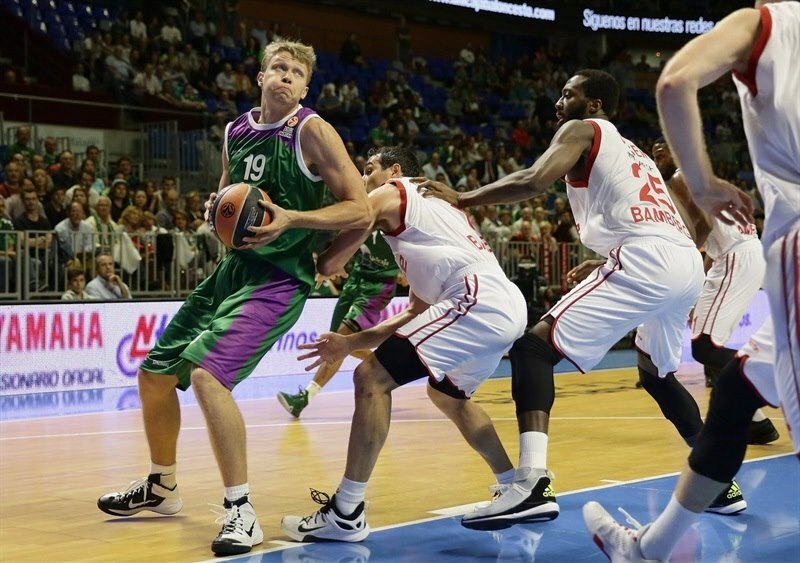 Kuzminskas took over after halftime to give Unicaja a 63-49 margin through three quarters. Bamberg tried to return to the game, but Unicaja kept a safe margin throughout the fourth quarter to add a very important first home win. Hendrix got Unicaja going with a big basket in the low post, which Zisis matched with a one-handed jumper in the lane. Will Thomas took over with a wild dunk, but Yassin Idbihi scored in the paint. A layup by Kuzminskas restored a 6-4 Unicaja edge. Idbihi and Thomas traded mid-range jumpers and Zisis scored again to tie the game. Kuzminskas took over with a bomb from downtown. 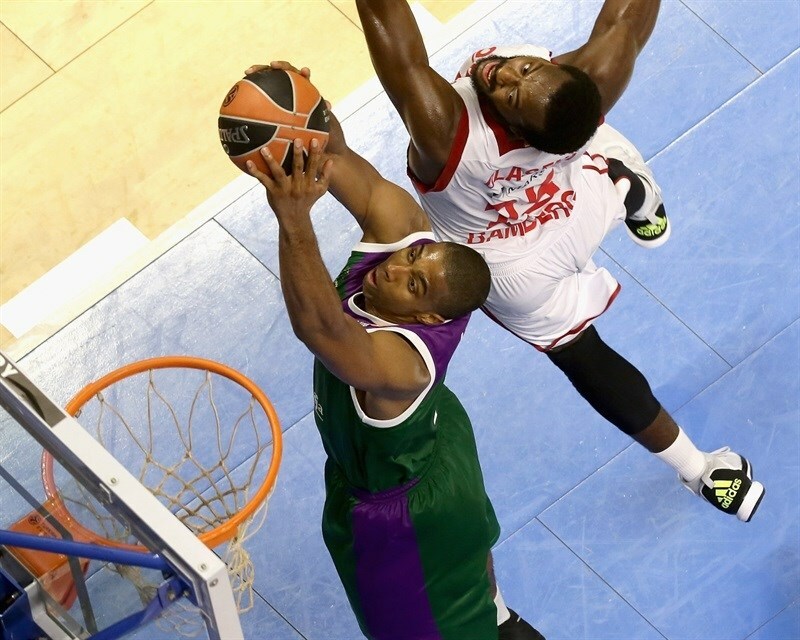 Bradley Wanamaker buried a long two-pointer, but Jamar Smith soon gave Unicaja a 13-10 lead. 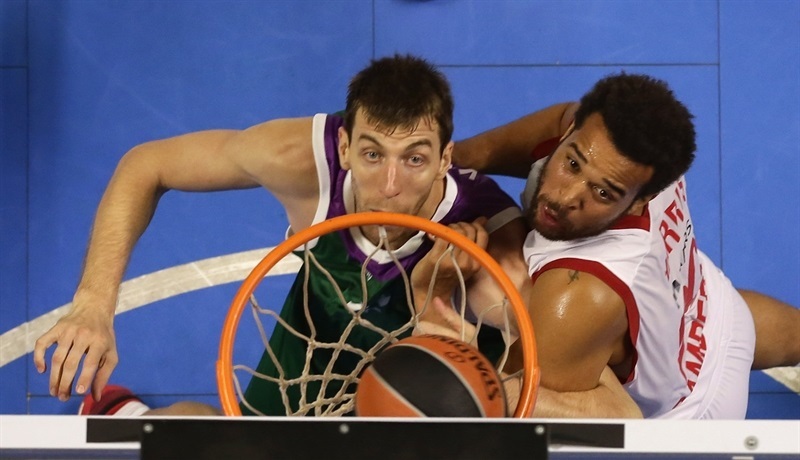 Unicaja improved its defense and a jump hook by an unstoppable Kuzminskas gave the hosts a 15-10 lead. Olaseni made free throws, but Edwin Jackson did better with a big three-pointer. 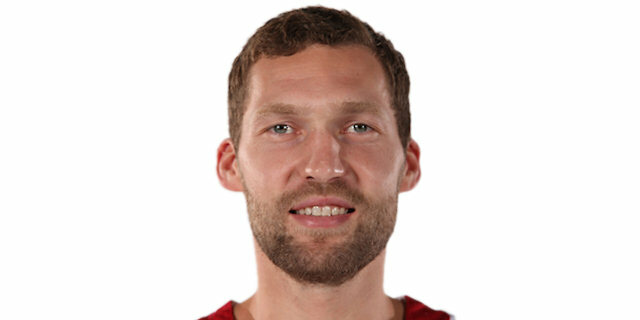 Melli scored around the basket and added a close jumper to keep Bamberg within 18-16. A layup by Olaseni tied it at 18-18 after 10 minutes. Carlos Suarez shined with a put-back basket early in the second quarter, but Olaseni erased it with a backdoor layup. A driving layup by Patrick Heckmann soon gave Bamberg its first lead, 20-22. Suarez kept pacing Unicaja with free throws and Dani Diez added a three-pointer to put the hosts back ahead, 25-22. Fran Vazquez stepped up with a two-handed dunk that Zisis matched with an off-balance jumper. Strelnieks took over with a three-point play that tied it at 27-27. Ibdihi scored around the basket and a huge dunk by Miller shocked the crowd at 27-31. Melli struck from downtown off an Unicaja timeout, but Vazquez and Hendrix kept Unicaja within 30-34. Kuzminskas took over with a steal and a coast-to-coast layup and Thomas tied it at 34-34. 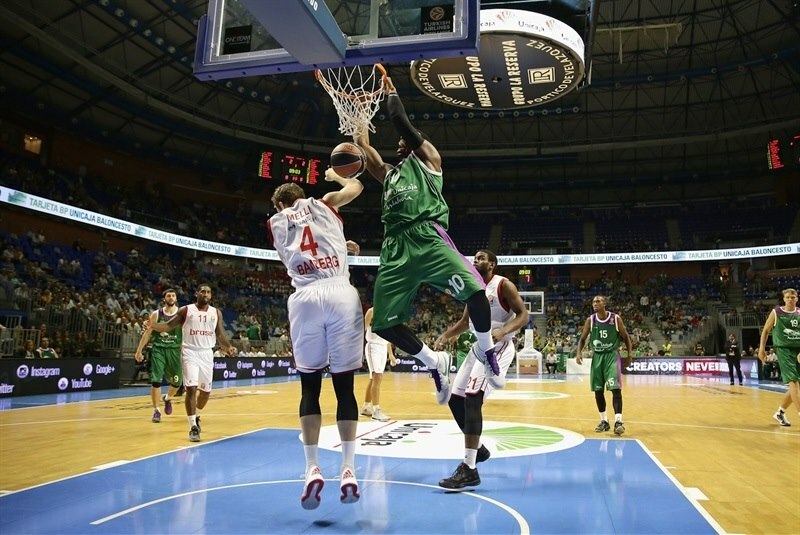 Hendrix ignited the crowd with a wild, one-handed put-back slam to regain the lead for Unicaja, 36-34, at halftime. Strelnieks struck from downtown immediately after the break, but Thomas answered with a six-meter jumper and Stefan Markovic buried an off-balance shot for a 40-37 Unicaja edge. Markovic found Thomas for a big slam that caused Bamberg to call timeout at 42-37. Wanamaker hit a jumper of the dribble, but Hendrix quickly answered with back-to-back layups that gave Unicaja some fresh air at 46-40. Kuzminskas provided a highlight with an up-and-under layup, as Bamberg kept struggling to score, even from the free throw line. Kuzminskas shined with an alley-oop slam, before Zisis split free throws. Kuzminskas buried a three-pointer and a one-handed floater by Smith broke the game open at 55-41. Wanamaker hit free throws and a corner triple by Zisis brought Bamberg within 56-46. Suarez hit a one-handed shot in the paint, Alberto Diaz buried a three-pointer and Nemanja Nedovic kept Unicaja way ahead, 63-49, through three quarters. Zisis scored again early in the quarter and Melli hit a three-pointer from the top of the key to bring Bamberg within single digits, 63-54. Zisis also joined the three-point shootout, but so did Nedovic to make it 66-57. Nedovic kept pacing the hosts with a dunk off a steal, which Elias Harris matched with a wild put-back slam. Both teams struggled to score for more than two minutes, in which Bamberg missed a couple of three-point attempts that could have brought the guests back. Diez stepped up with a big three-pointer, but a layup by Miller and a three-pointer by Strelnieks gave Bamberg hope at 71-64 with less than four minutes left. Unicaja started to use longer possessions to run the game clock down. Thomas made free throws and Markovic split attempts to seal the outcome, 74-66, with 1:10 left. 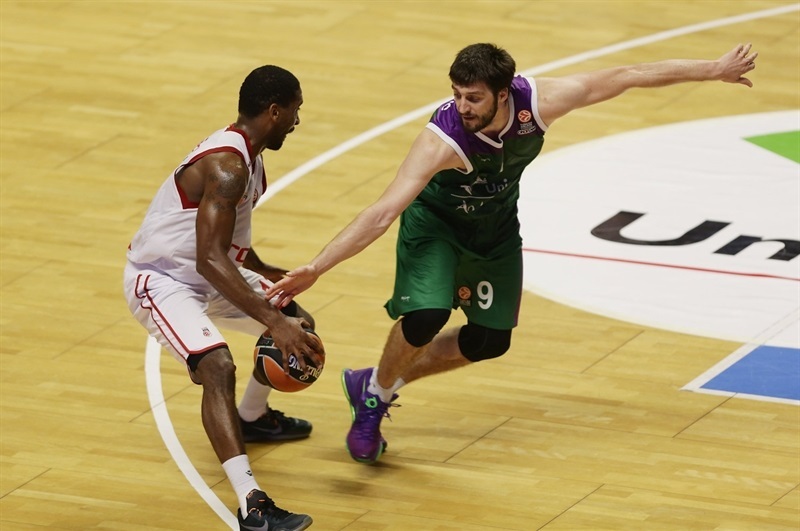 Bamberg never gave up, but Unicaja had already cruised to an important home win. "Starting the competition with a win is always positive. It was a game in which neither of the two teams played at a great level. We were especially bad in defensive rebounds, but improved in the second half. We are assembling our players and struggled a lot today. Our playing style has a lot of potential risks and some of them could have been avoided today. We deserved to win and are on our way to be a better team every day. We will see if Kuzminskas is able to stay at this level; it is still early in the season. Our team needs time. We want our players to read the game. We had great moments and then worse moments. What I want is to see my players compete. We will get there." 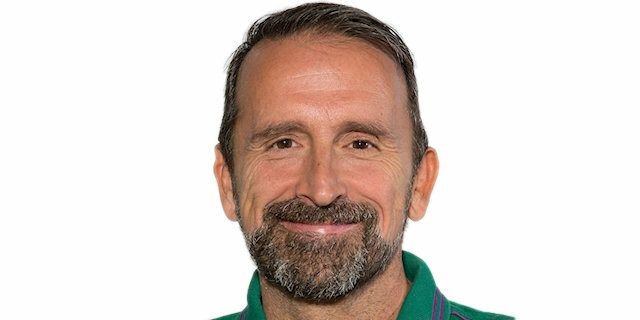 "Congratulations to Unicaja for a deserved victory. The first problem was the defensive rebounds. I do not ask them to catch the offensive rebounds, but fight for the defensive. I told my players to win in such a difficult place like Malaga, we had to leave with the desire and energy to fight for the rebounds. 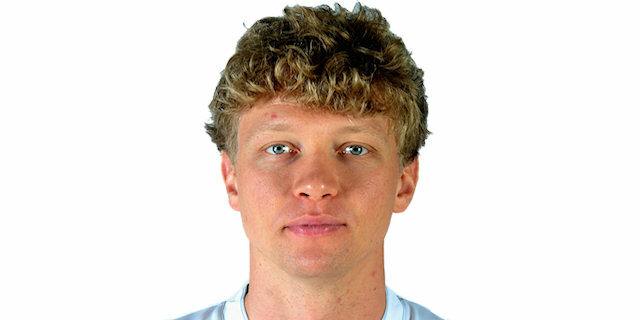 The second problem was Kuzminskas. It was very difficult for us to defend this player." "The second half was a little bit different than the first half. Anyway, we won because we played really good defense, maybe other things were not so good, like defensive rebounds or turnovers, but we are happy that we have this first win. It is really important to defend our home court. We have the same coach and half of the team played together for two or three years. We know each other and are working really hard in practice to get this. I am happy and it is really important to look like a team on the court." "We knew it was difficult to win here in Malaga. It's not an excuse, but for many of us it was our first game at this level. We competed well against a great team like Unicaja. It was a shame we could not take any more time, but we had chances to win the game for several minutes. 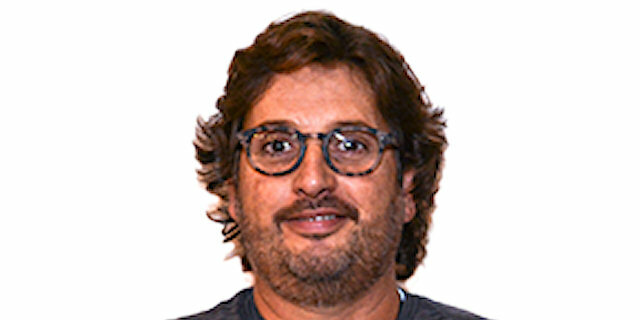 The Euroleague just started and there are many games ahead."